The Mid-Autumn Festival is a very traditional chinese festival. The Mid-Autumn Festival is also known by Moon Festival, because of the celebration's association with the full moon on this night, as well as the traditions of moon worship and moon gazing. As well as Mooncake Festival, because of the popular tradition of eating mooncakes on this occasion. 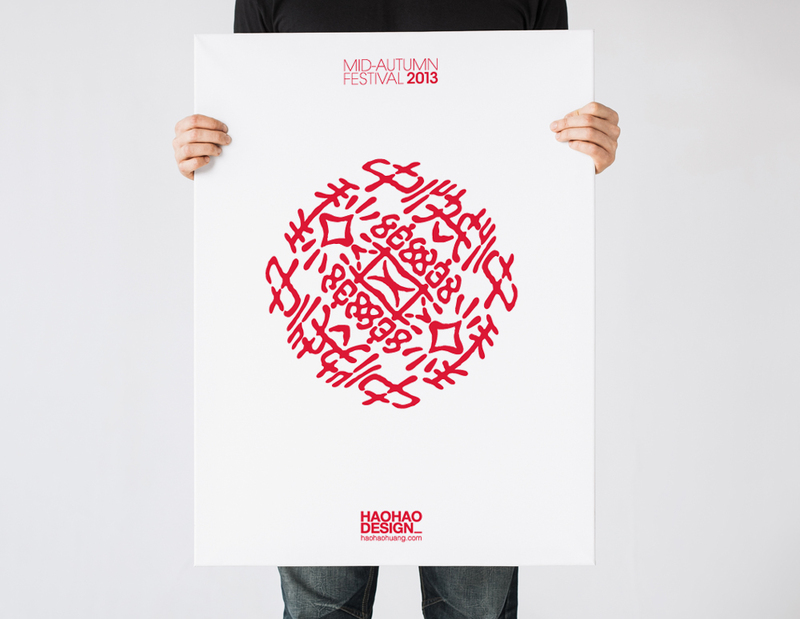 This poster's idea was mainly came from the decorations on Mooncake, however metaphorically it refers moon - full circle, in chinese tradition it also implies harmony.